In 1877, Adam H. Bartel opened a wholesale dry goods store at 49 Main Street. Three years later, he moved the business to 210 Fort Wayne Avenue. By 1906, the company had grown into this large building on North E Street across from the railroad depot. 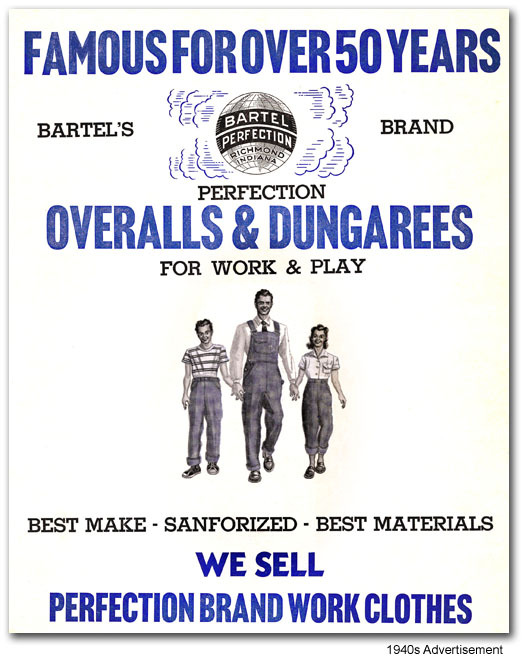 The Bartel Company also manufactured work and play clothes under the brand name Perfection. 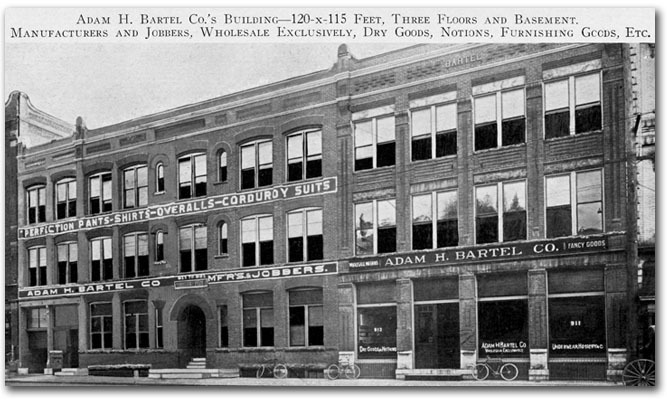 At first production was accomplished in the North E Street building, but business grew enough that Bartel had a separate factory built on South 8th Street in 1920. The Bartel Company continued operating that facility until 1966, and today it has been renovated into senior apartments. When it celebrated its centennial in 1977, these were the company’s buildings. Adam H. Bartel Co. remained in business until 1999.